Figure 1 of Azam, Mol Vis 2009; 15:1788-1793. Figure 1. 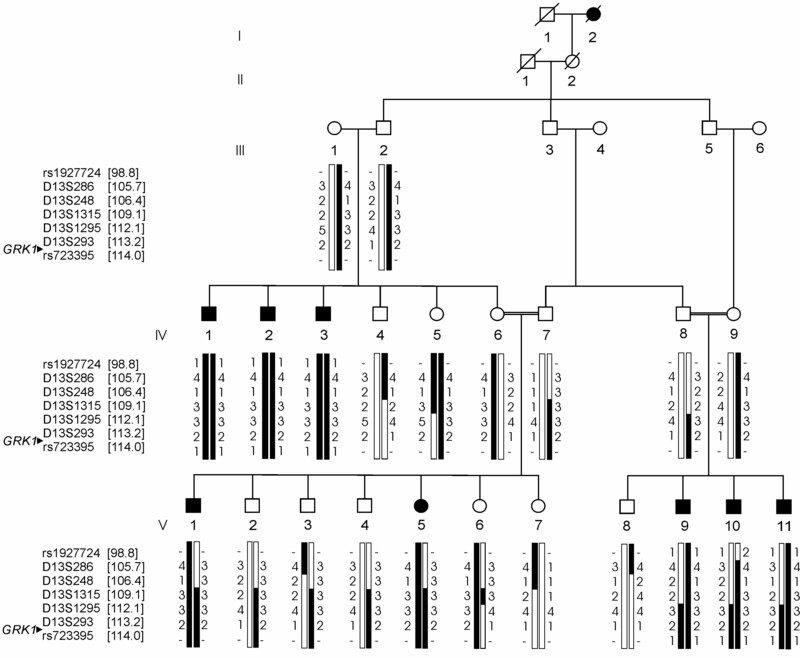 RP19 pedigree and 13q32.3-qter haplotypes. White circles represent healthy females, filled circles represent affected females, white squares represent healthy males, and filled squares are affected males. Slashed symbols indicate deceased individuals. Arrowhead marks the position of the GRK1 gene at 13q34. The genomic positions (in Mb) of all the markers are based on UCSC genome working draft hg18 (March 2006) and indicated between brackets.